(Productive secrets for success) Productivity and creativity are the two daughters of success. Success doesn’t merely mean being at the top of one’s game. It also means being satiated with what one is, having achieved one’s true potential. In short, success in real and pragmatic terms would directly mean self actualization. The theory of self actualization astutely propounded by Abraham Maslow states that for a person to rise at the top of their hierarchical needs and reach self actualization, they must fulfill all the bottom needs first and then achieve their maximum potential to be truly complacent and positively contribute to one’s own existence and those of one’s society. Achieving self actualization might seem like an easy task. But, according to Maslow, only 1% of the total population achieves true self actualization, which is real actualization of their potential. That means, very few of us are truly productive in a real sense. How then can we be productive in an era of unscrupulously fast pace? How can we compete and have a real vision in a world where the only rule is survival of the fittest? Worry not, we’re here to tell you few intriguing secrets to help you be productive and achieve your full potential! The productive secrets for success are inspired by the greatest leaders of our time. Whose virtues we can only try to emulate! Other than being an impeccable martial artist, Bruce Lee was also an astounding philosopher. One of his most profound quotes articulates that one must humble oneself to be formless, in attitude and ego. It is rightly said that the strongest things are often the softest, like the water, and if one has to garner true en-durability, one must learn the art of being formless and assuming shape according to the time and circumstances, obduracy only guarantees one’s extinction. In order to rise, one must be dynamic, ever moving and ever changing. Thus, this productivity secret is at number 1 in our list of best productive secrets for success. We all have read “Alice in The Wonderland” but have we ever truly “wondered” how a simple mathematician could create such a marvel in children’s literature? Well, it’s no coincidence, Carroll like many other writers, used lucid dreaming as part of the creative modus operandi. Lucid dreaming is active dreaming, in which the person who is dreaming actively comes to control their dream after being consciously aware that they are dreaming. Additionally, many artists and writers describe it as a powerful force in imagining and visualizing things. For example, levitating, going deep into the abyss or being invisible, scenarios which are impossible but become real like in an illusion that can be created by our own minds with practice. Lucid dreamers suggest that in order to lucid dream, one should make a “dream journal” in which one writes down their dreams, first thing when they wake up. So that over a considerable amount of time, they can consciously realize in a dream that it is in fact a dream and then control it. Lucid dreaming is therefore at number 2 in our list of best productive secrets for success. Creative thinking directly leads to productivity and success. But we must understand that creative thinking itself takes place in 4 stages: Preparation, incubation, illumination and verification. In preparation there is conscious effort at finding solution to the problem. Incubation involves letting the “solution finding” streak fade away, while the problem/task simmers in our unconscious mind, while we engage in other activities unrelated to the problem. Illumination is the stage immediately after incubation, in which the solution suddenly pops into the conscious mind, aka “the Eureka stage”. Verification is the final stage when all the dots are connected. Furthermore, at this stage, the veracity and applicability of the solution are both tested and confirmed. Creating something new, sounds easy now, doesn’t it? Well, it is but in spite of our lucid understanding of the 4 stage concept in creative thinking. We’re not really able to apply that for the same i.e. creating something new. This is because us humans, don’t have the patience and forbearance to go through all the stages. We want the solution/creative idea in the preparation stage itself and when that doesn’t happen, we give up. When in fact the real solution and churning of the brain happens in the incubation stage. Now, the secret is that when we’re looking for a solution like the answer to a math problem or attempting to create something, say a music piece, we have to give it conscious thought. But also give time to ourselves, to deeply think about the task at hand (consciously and unconsciously) after which there is opulent scope of reaching our goal. Chanel, an incredible woman and an irreplaceable inspiration for women all across the globe, has rightly quoted, “In order to be irreplaceable, one must always be different.” Although the current fad is to fit us all in a Procrustean bed, to conform us. Whether it is education or the way we dress, we must realise the importance of originality. For, if we are all alike, we’re all mediocre. So embrace that weird makeup you got on and do what you really want to do, not what is “cool” or what everyone approves of. Take a few risks and who know you might just cause a revolution with something new like Chanel did with her Little Black Dress. Coco Chanel’s idea of being different is thus at number 4 in our list of best productive secrets for success. 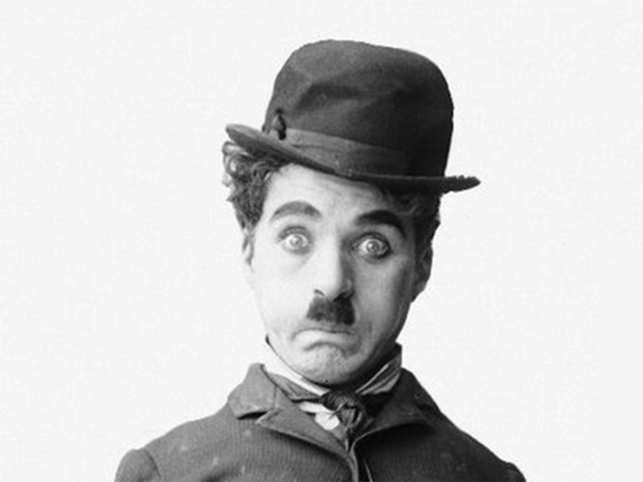 Charlie Spencer Chaplin, as we know him today, wasn’t as much of a comedian growing up. He lost both his parents at the age of ten. Chaplin and his brother Sydney, had to struggle and sometimes even live from hand to mouth to survive in one piece. Life for Chaplin, unlike his popular movies, was quite sombre and imbued with solemn hues. In spite of being knocked down time after time, Chaplin never failed to rise up and make his audiences laugh. It not only takes strength and courage to do that but also the ability to let go. Something us humans find hard to do…letting go of our sorrows. Well, the inspiration and a productive secret we can steal from Chaplin is that it’s not so bad to just lay back every once in awhile. Laughing and make everyone else laugh. Who knows, maybe being a fool might just turn our luck around on a gloomy day and get us going? Therefore, laughing is one of the best productive secrets for success! Michael Jordan, indisputably the best NBA player history has witnessed, has ironically not proven to be infallible. He, like many great leaders has faced defeats and failures. Sometimes so many and so poignant that it is almost a marvel how to athlete legend never gave up. And that is the trick my friends, to never give up! No matter how the task is, no matter how many rejections you face, just keep going at it. For any talent or skill nurtures itself with assiduous effort and patience. Mohammad Ali hated every minute of training. But he kept going at it, because he knew, to be a champion, you have to break a sweat. So, no pain, no gain is at number 6 and 7 in our list of best productive secrets for success. Food was given homely femme fame when Julia Child was given the alias “Our Lady of The Label” by Time Magazine in 1966. But this flamboyant food goddess didn’t just become a “French appetite cuisiner” overnight. Child’s food ventures took a professional spin, starting only from her own kitchen. Her kitchen has now been preserved as an exhibit. She started writing her first book “mastering the Art of French Cooking: volume 1” with her friends from the cooking classes. She used to conduct cooking classes for American women seeking to learn a new art, the art of recipe. This woman, that became the household name of every woman and chef from America to France, didn’t shoot skyrockets to become what she is today. She is an inspiration for chefs and food lovers all across the Globe. She only found where her heart was and started doing what she loved, cooking. It is honestly that simple. You find out what you love and you start doing it. You make an effort, no matter how small it is, for all great things start with small efforts. Making its way at number 8 in our list of best productive secrets for success. The first Black president of the United States of America, did not let his race be a handicap but an inspiration for many to look past their differences. He, unlike many others, only let his social disadvantage, his race, be his most powerful weapon, igniting for millions of African – Americans, an esperance for change. Similarly, Malala Yousafzai fought for girl’s education under the nose of Taliban, risking her own life. As being a woman is no better than being an unwanted pest under the guns of terror. She took a bullet straight through her head and even then did not give up. She kept fighting intermittently for her cause, the cause that needs global attention – women empowerment. Such personalities remind us, that our differences in society might just be the best catapults to cause a revolution. We hope that these productive secrets for success prove to be a booster for those who want to let their inner strength ignite. We have covered everything from psychological secrets, to inspiring soul stirring stories. But these productive secrets for success, are not really obscure. We all know the story of these great contemporary personalities. But now it’s time not only to appreciate their efforts, but also to make efforts and aspire. So what are you waiting for? Go ahead, do something marvellous! What To Do In Life? How Innovative Ideas Arise: Dream, Create, Inspire And Innovate. Dark ain’t “Undesirable”! Stereotyping is!